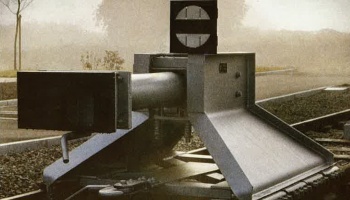 History: RAWIE - BARRIER SYSTEMS, BUFFER STOPS, ACCESS SYSTEMS. 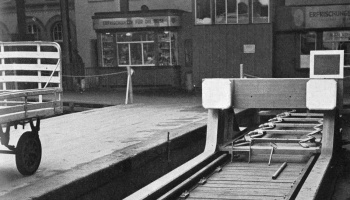 Rawie has been contributing to making the world a little safer for decades with buffer stops, barriers and access systems. The start was made with a “factory for railway supplies“ that rapidly formed the basis from which our strengths and core competencies emerged. We are still proud that we were able to gain a reputation as a pioneer and as a global market leader far beyond the town and country borders in the past. Rawie, the family-owned company is now able to look back on a corporate history that goes back more than 130 years and this history is full of exciting stories. Although Franz Rawie had not specialised in the manufacturing of railways supplies yet back in 1882, he already had a remarkable inventive talent at the time. One example of this was a rotating cupola made of steel and glass that decorated the first Osnabrück Stadthalle until a fire broke out and it was subsequently demolished at the beginning of the 1930s. The fact that the company purpose was soon to change course was especially due to the cooperation with the Deutsche Reichsbahn repair workshops. At the time – it is the year 1901 –, the locomotive in the waiting room was obviously a justified horror scenario as accidents resulting from defective track closures were not uncommon at the time. 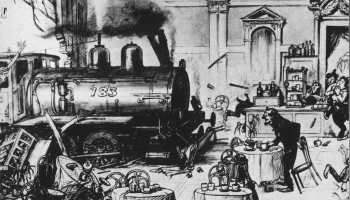 One example of this was when the Ostend-Vienna Express, a feeder for the Orient Express, came to a halt between the laid tables in the 1st class and 2nd class restaurants at Frankfurt Central Station on 6 December 1901. Nobody was injured in this case but such accidents provided Franz Rawie with a reason to act. Until that time, the track closures were often primitive and almost ineffective as they were simple sand hills or walls made of railway sleepers that were supported by soil. One thing was clear for Franz Rawie: that could be improved on! He worked systematically and proved that the assumption that the force applied by impacting vehicles could be absorbed by a sudden resistance was an error in reasoning. 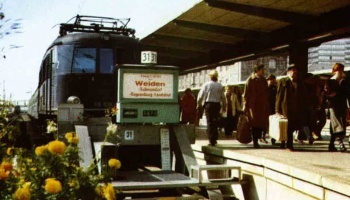 An effective and unscathed braking of the train as a decisive contribution to increasing safety in German train stations was only possible with an opposing braking force. The knowledge produced a result: the patent for a sliding friction buffer stop from 11 February 1909. The first patent was followed by the next one – and their number exceeds 50 to date. 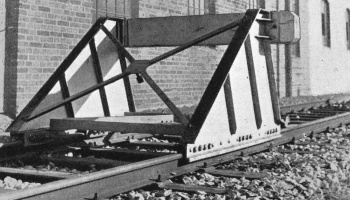 This intensive research and development work even had the consequence that the Deutsche Bundesbahn stipulated in an implementing order from 1951 that all of the track closures in its rail network were to be fitted with friction buffer stops from Rawie – and it was not long before private railway companies and the industry also followed suit on their track installations, resulting in Rawie becoming their selected supplier with its specialised solutions based on individual requirements. In the early days of the rise of the railways, Franz Rawie was increasingly interested in the safe crossing of railway tracks. 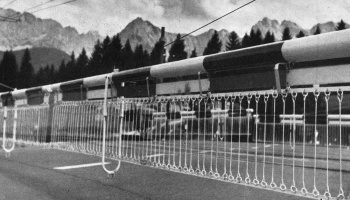 On the basis of the barriers that were initially manufactured for the Reichsbahn level crossings – and for the Bundesbahn later –, Rawie developed modern industrial and and lightweight construction barriers. In the 1960s and 1970s, these became a part of what is today a comprehensive product range comprising access control and and billing systems, the use of which makes sense not only for public authorities and industrial companies, but also for private companies, banks, savings banks and multi-storey car park operators. Our long company history still owes much to formative experiences and role models today. Innovative traffic barrier technology, effective special solutions and a perpetual urge to bring a product to perfection – with the knowledge of an excellent workforce, our own tradition and a future-oriented orientation, the company is happily looking forward to its 140th anniversary. 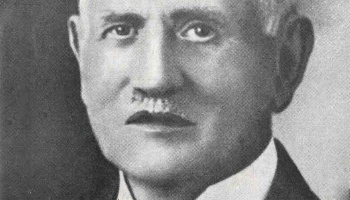 Our company has been a byword for a willingness to innovate since the times of Franz Rawie. RAWIE faced a completely new challenge in traffic barrier technology in 2016 by developing a horizontal barrier that lifts the barrier beam into a horizontal position so that it can be moved over a protective device and subsequently swivel it into the driving lane with a horizontal movement. 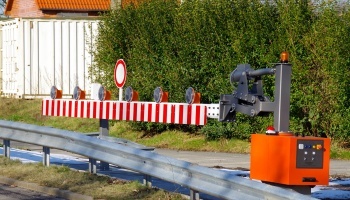 In the traffic area, the barrier beam is then lowered to an uncritical height so that it is then able to reach its end position and position for use. The Rawie family originally came from Wersen in the environs of Osnabrück and were farming-oriented. In the 18th Century, they held the office of the town watchman at Haster mill for more than 100 years before Bernhard Anton Rawie took up the position of a file cutter on a part-time basis. 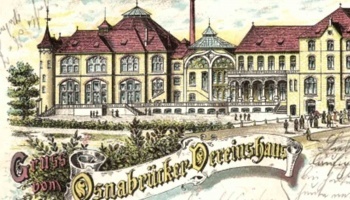 The family turned to the metal industry however when his son, Johann Daniel Rawie, succeeded in being registered with the Town of Osnabrück Master Smiths Guild in 1825 and Rudolf Bernhard Rawie (1829-1900) founded a metalworking shop at the Große Gildewart in 1855. 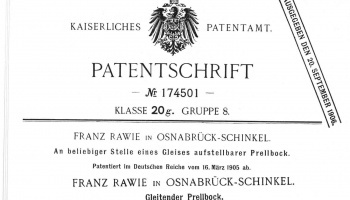 After completing his studies at the Technical University of Dresden, Franz Rawie (1859-1929) who was only 23 years old at the time, changed the “Factory for Ironmongery“ in the Süsterstraße to the “Factory for Railway Supplies“, in 1882; he therefore not only providing our company with the foundation year 1882 in its logo, but he also giving it a name. Apropos name: he traded under A. Rawie from the beginning, this being his mother Auguste. It was also Franz Rawie who relocated the company to the suburb of Schinkel at around the turn of the century. 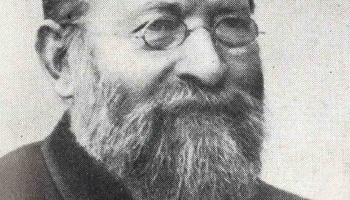 Before his death in 1929, Franz Rawie was able to experience the triumphal march of his inventions and his company, despite the difficult years of the First World War and its economic effects. Almost 70 percent of his life´s work was destroyed in the Second World War however as a result of four of the total of 79 air raids that were launched on Osnabrück. 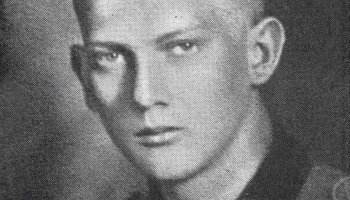 What was much worse than the immense material damage was the loss of his only son and name bearer Jost-Albrecht Rawie, a soldier who fell at Kursk in 1943. The continuation of the company after the Second World War appeared to be questionable but as was often the case, our family supported each other. Ms Martha Rawie (later Steeger-Rawie), née Wilisch, her brother Dr. Erhart Wilisch, Franz Rawie´s nephew Berthold Lotze and last but not least Franz Rawie´s daughter Traute Fründ, née Rawie, steered the company into a successful future. A very proud Dr. Erhart Wilisch had the Federal Cross of Merit conferred on him in June 1962 for his services to the development of traffic, this actually being the success of the company as a whole. Our company relocated to its current location in Osnabrück Port in 1979. A modern production shop, its own test track and an office building with an expansion area formed the basis for the expansion of the market. This enabled Rawie to consolidate its position in the 1980s and 1990s despite the fact that rail traffic was losing ground at the time. 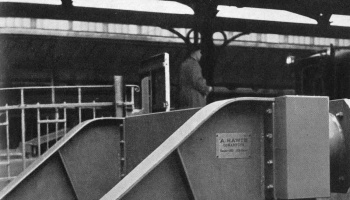 The rise of the company that has taken place since then is thanks to Jost Joachim Fründ, Franz Rawie´s grandson and Renate Högermann, who together steered the company through turbulent times, making it a leading manufacturer of track safety systems and barrier systems in the global market. Technical progress and digital change have obviously also not passed by Rawie. Modern times require modern and complex solutions, a challenge that the company and its excellent specialists face on a daily basis and that has not only been the case since the turn of the Century, but is based on our traditional inventiveness. We now have around 60 employees at our Osnabrück site and Rawie also has around 35 representatives in more than 23 countries. After the untimely death of Renate Högermann in 2013, Carla Editha Högermann is now standing at the helm as a long-standing member of the Rawie family, she also showing the workforce that the term „family-owned company“ is a guiding principle that should also be upheld in the future.